Need to fix your company's performance management? 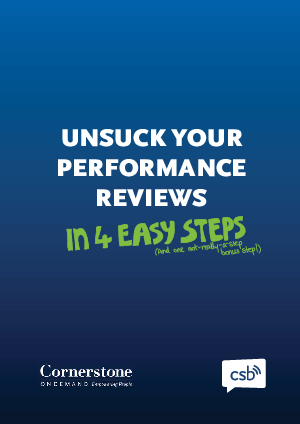 Want to make woeful performance reviews a thing of the past? Collect actually useful data and actually use it? Build a robust people strategy? Ensure your company's ongoing success? Take over the world (of successful performance management)? If your current reviews are broken, it's pretty obvious. Your HR guys are buried under mountains of pointless paperwork; it's unclear what the people who work for you can actually do; you're losing key people and have no idea how to replace them; and nobody really knows what the point of reviews is anyway - once they're submitted they're never seen again. The issue isn't realizing your company has the problem, but convincing everyone that you have the solution. That's where we come in. We're here to help you slay the dreaded terrible review beast.